Activists protested for the end of sanctuary cities at a talk by Nancy Pelosi at Scripps College on February 18, 2016. The protest was organized by We The People Rising. 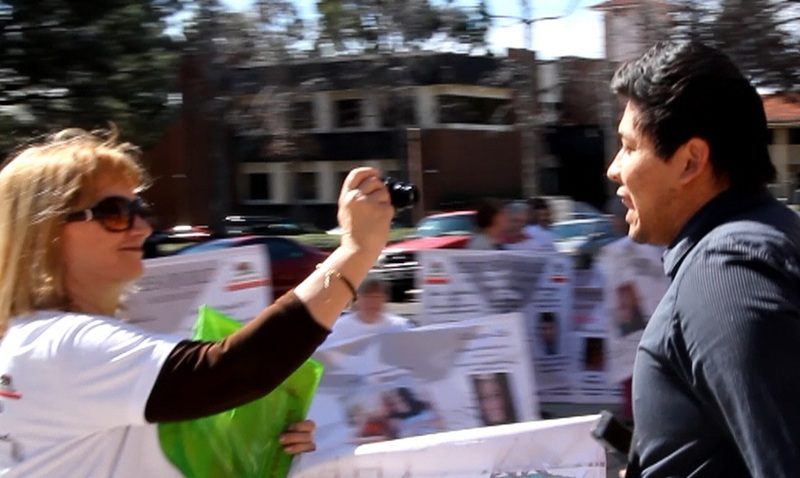 The protesters held signs produced by the Remembrance Project with photos of victims of illegal aliens and the circumstances of their deaths. It is already against federal law to aid and abet illegal aliens. For that reason sanctuary cities are clearly illegal, but have been tolerated by politicians of both parties for decades.